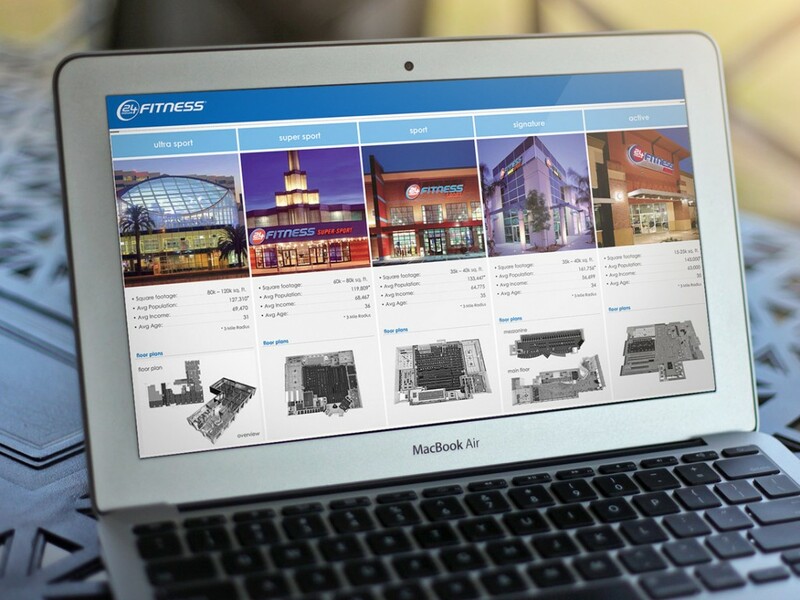 We were approached by 24 Hour Fitness to develop touch screen software for their corporate office. 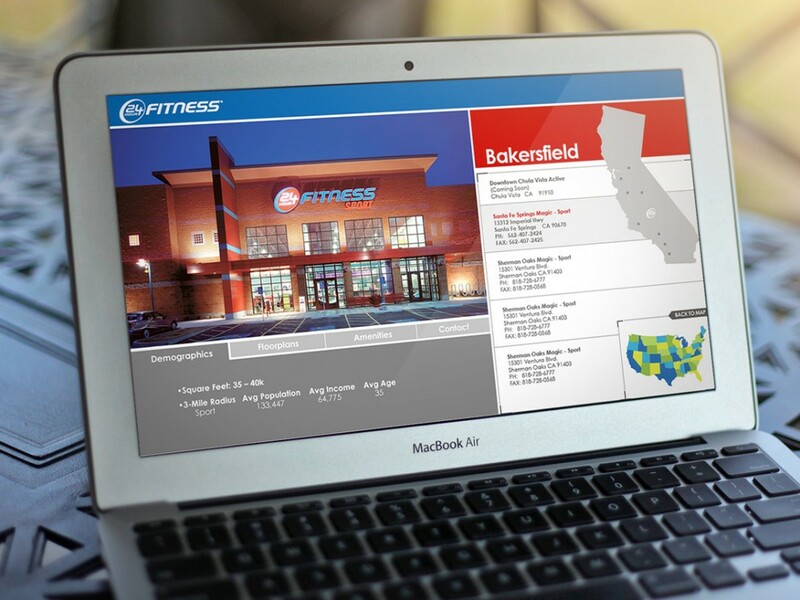 The task was to create a user interface that would creatively display specs for the different 24 Hour Fitness facilities. 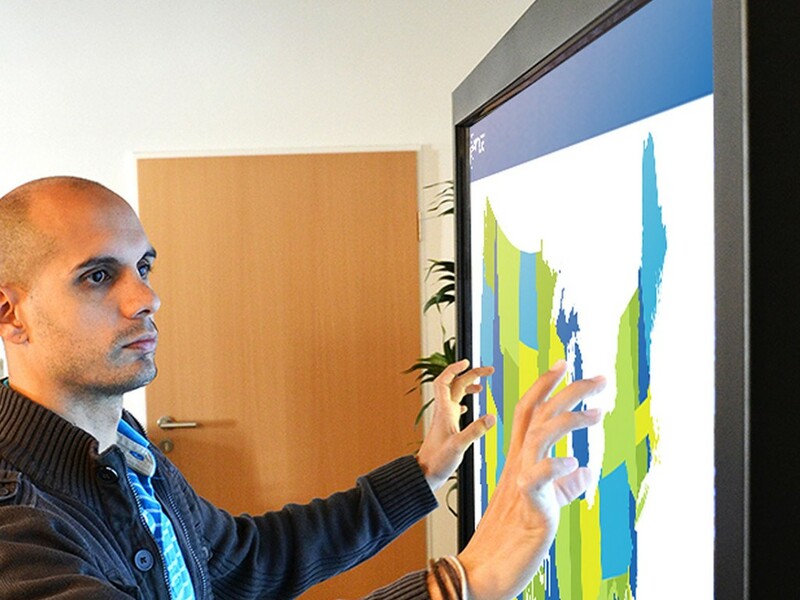 The touch screens are used to educate investors on which type of facility is best for their area. This screen gives the user an overview of the specifications of the 5 types of facilities that can be built. 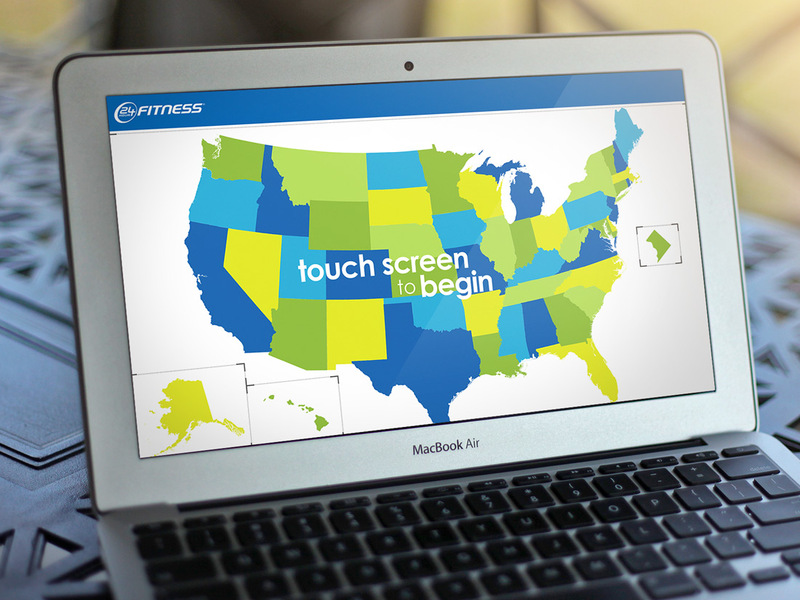 The user can select an area of a state to view which types of 24 Fitness facilities exist in their area.